Adam Mann has lived and worked in Africa and Asia for many years. He has always been fascinated by personal relationships, and in real life is now enjoying his fourth marriage, after being widowed, divorced, had one marriage annulled as this ‘wife’ had forgotten to get divorced. 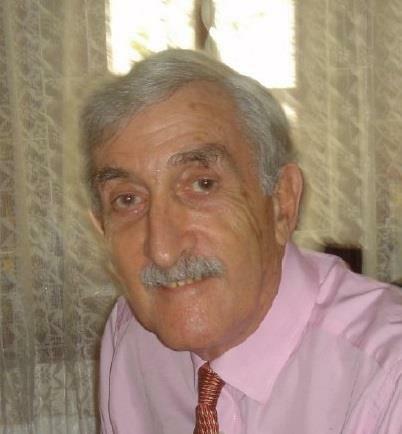 Adam has extensive experience of social and sexual activities, which he brings into all his books in explicit detail. Underlying all these activities is a quest for a loving and ongoing relationship with his partner. Four novels have been based in Africa, seven in Asia, with two in Europe. Adam lives in Vietnam. 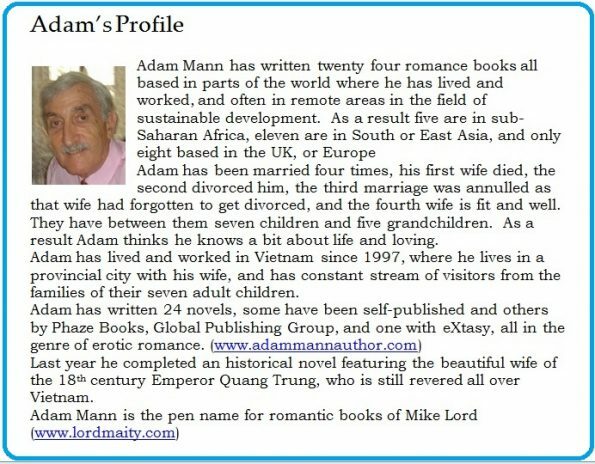 To discover more about Adam Mann’s books click HERE and have a look….